Frustrated about my writing that morning in West Hampstead, London, I smoked a joint and set off to the local library for inspiration. I decided I needed to read yet another book by Doris Lessing. That would jumpstart my work. 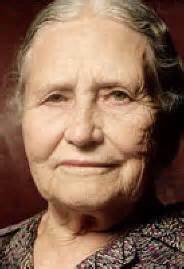 I bundled up and went down the hill along Agamemnon Road, NW, and walked by…Doris Lessing. There she was, her sturdy figure, wide face, wavy salt-and-pepper hair parted down the middle and pulled back into a bun. She was toiling steadily and slowly up the hill from the shops, carrying the morning’s groceries. In my goofy stupor, I couldn’t say or do anything. I was sure it was her, but then again, I wasn’t sure at all. Flummoxed, I let her go, which was probably a mercy. The hill was steep, the bags heavy – she didn’t need to be subjected to inane gushing. Running into Lessing on the street flattened me, even more than the pot (a practice that pretty much ended that day). I didn’t take the event quite as divine intervention, but more that maybe the world was watching, lucky me, and that it was time to get my act in gear. Over time, I learned that in that entire city of millions, Doris Lessing lived further up the hill from our flat and around the corner. I got her address somehow (I believe it was in the phone book) and sent out my message-in-a-bottle fan letter, telling her about that encounter on the street. She responded by sending me a postcard with a painting of Jane Austen, inviting me to tea. Me. To tea. With Doris Lessing. I sat with that postcard for weeks, frozen with fear. What would I say to her? What would she say to me? She hadn’t yet won the Nobel Prize for literature, but was extremely famous and had won almost everything else in Europe. I was a total lightweight, with vague longings but no ability to complete, to do. She would hate me, or worse, be bored by me. I would say brash, stupid things. I couldn’t even conceive of forging some type of lasting bond as I have now seen many other artists do when confronted with this type of opportunity. Overwhelmed, I let it slide. Unbelievably, I never responded. The world may have been watching but it would have to wait longer before seeing anything from me. This week after her death, I don’t think about the missed opportunity so much, except as a stupidly missed experience. What did her house look like? Where did she write? Upstairs? Downstairs? Near a window or by a lamp? Did she write on a pad or a typewriter? Did she pay attention to her home, or let it be sloppy as I imagined she would? How much I would now love to just sit with her in her world, her home. Missing all that is the inexcusable part that I may never forgive myself for. My own career eventually materialized. I found an under-the-table job doing travel writing and running the classified section of a tiny travel weekly aimed at Australian and New Zealand travelers. In due course, unable to stay in the UK, I moved back to the US and on the strength of my travel articles, was hired as a reporter at my hometown paper. Suddenly, I was writing every day. Not deep, reflective, profound literature, but something. I had finally embarked on my varied, confusing, rewarding writing career, which often feels just as complicated as my reaction to a simple invitation to tea. She no doubt never thought about me again. 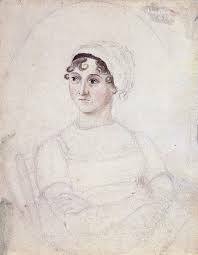 However, I still have that postcard, the 1810 sketch of Jane by her sister Cassandra. I have looked at it many times over the decades, buoyed by Lessing’s easy offer to someone who was looking for her and found her in the street. In retrospect, just the invitation was enough: I am still responding. This entry was posted in Uncategorized and tagged Doris Lessing, helping young writers, invitation, London, writing. Bookmark the permalink.